Wella Professional Hair Care range is one brand I have enjoyed using in the past year because their products make my hair look great. I do find myself reaching for their products especially when I have my extensions in because they help them look more realistic. I was very kindly sent some products from the Oil Reflections range and the EIMI Collection earlier this year. I have enjoyed them so well and featured a few of them on Instagram so I wanted to share a proper review on here. 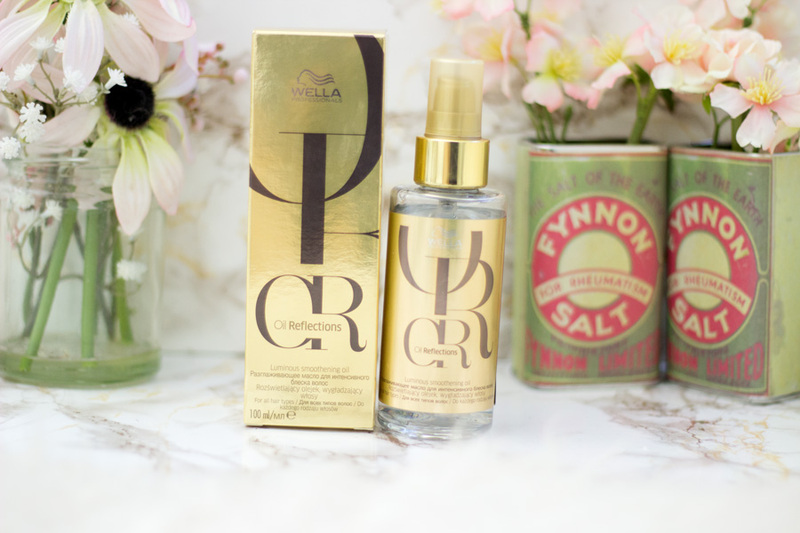 I have already given a brief overview of Wella in this post so you can check it out if you want to find out more about them. I am just going to dive in to the products and share my thoughts. The Oil Reflections Collection is inspired by their best selling Oil Reflections Hair Oil (which is one of my favourites). 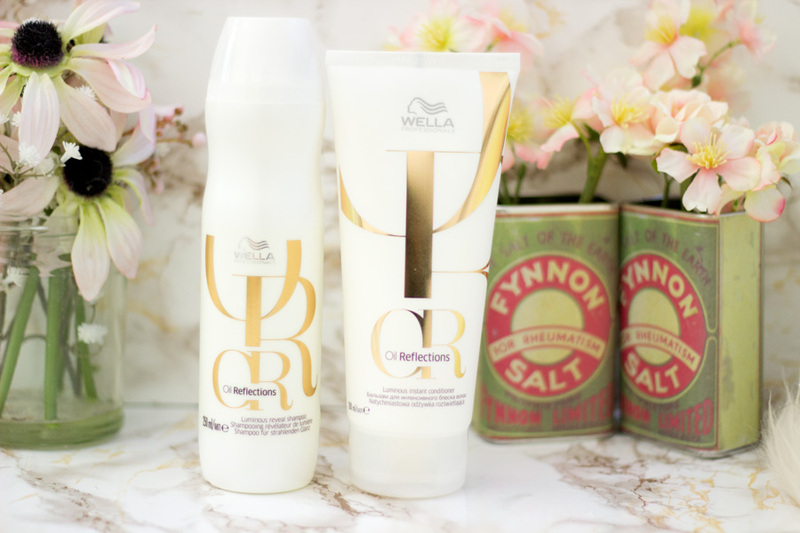 Buidling on the success of the Oil Reflections Hair Oil, Wella Professionals expanded the Oil Reflections range and I am so pleased that they have done this. 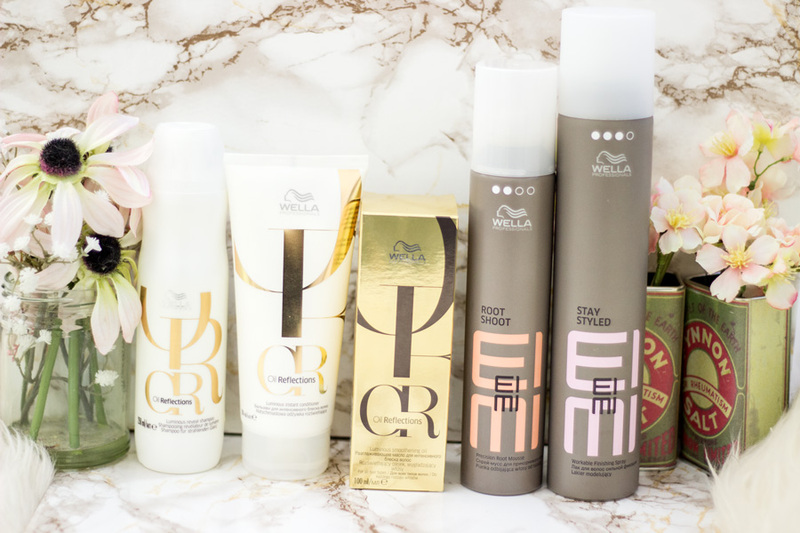 Wella Professionals products are designed to give you the salon feel from the comfort of your bedroom and I cannot agree more based on my own experience. The Oil Reflections Collection was created using the Oleology program which is designed to help protect the hair and provide a smooth and reflective hair surface. The collection includes the following additional products: Luminous Reveal Shampoo, Luminous Reveal Conditioner, Luminous Smoothening Hair Oil and Luminous Reboost Hair Mask. 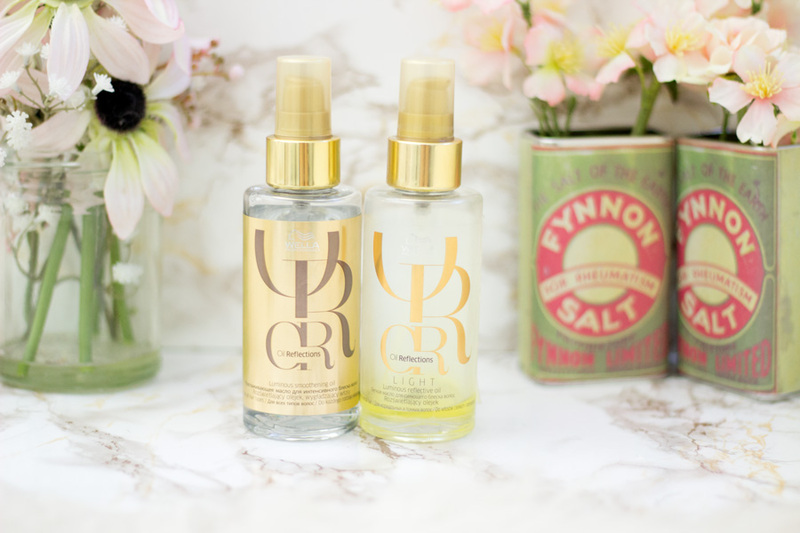 I was lucky to be sent three products from the Oil Reflections range which include the Luminous Smoothening Hair Oil*//£15.50, the Luminous Reveal Shampoo*//£13.90 and Conditioner*//£14.99. 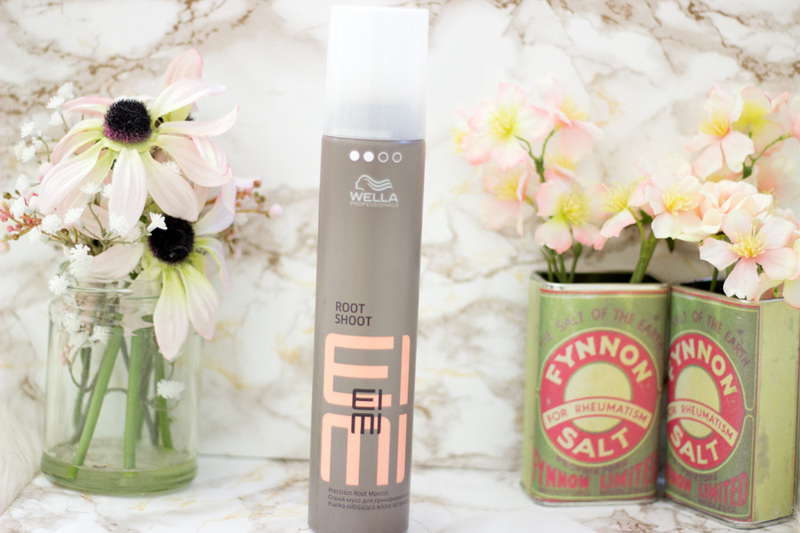 I was also sent two products from the EIMI range: EIMI Root Shoot*//£10.20 and EIMI Stay Styled Hair Spray*//£13.50. I already had the EIMI Sugar Lift* //£10.20 from a previous Wella Event and I decided to use them all for the look I created below. I saw a press release of these products where they were used to create amazing hair styles in the Golden Globes. Of course, I decided to recreate one with a little twist here and there. 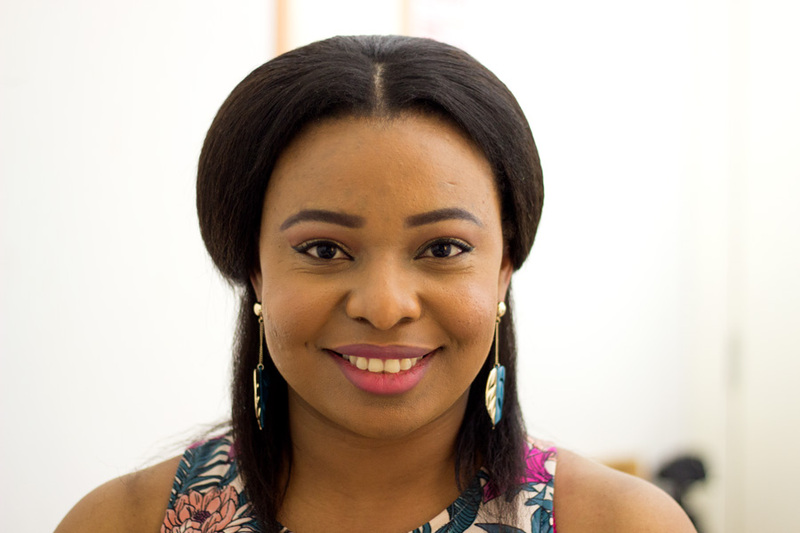 Obviously, it was not the same as I am not a hair stylist but I think I did okay and the products really helped a lot. This hair style is similar to the style Sophie Turner wore to the Golden Globes 2017 and the styling was done by Christian Wood (a Wella Professionals Stylist). Her hair is much longer than mine so I had to put my own little twist to make it work. I always thought I learn better by watching videos but I was really surprised to find that these steps were so easy to follow. If I can recreate it (even with a different hair texture and length), I bet you can recreate it as well with the right products. Step 1- Wash and Condition your hair with the Oil Reflections Reveal Shampoo and Conditioner: I had part of my hair out and some hair extensions as well so I washed them both. 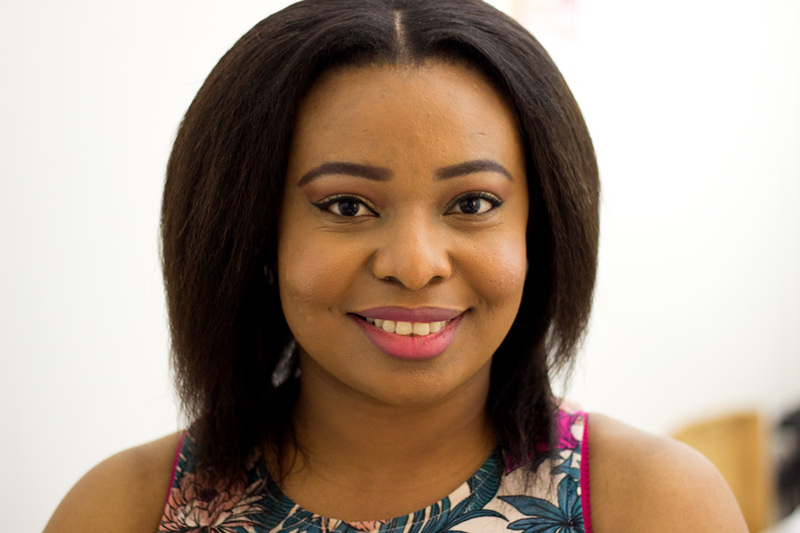 I love the Oil Reflections range both on my natural hair and my extensions. I saw more luminosity on my extensions than my Afro but the Oil Reflections Hair Oil always fixes that for me. 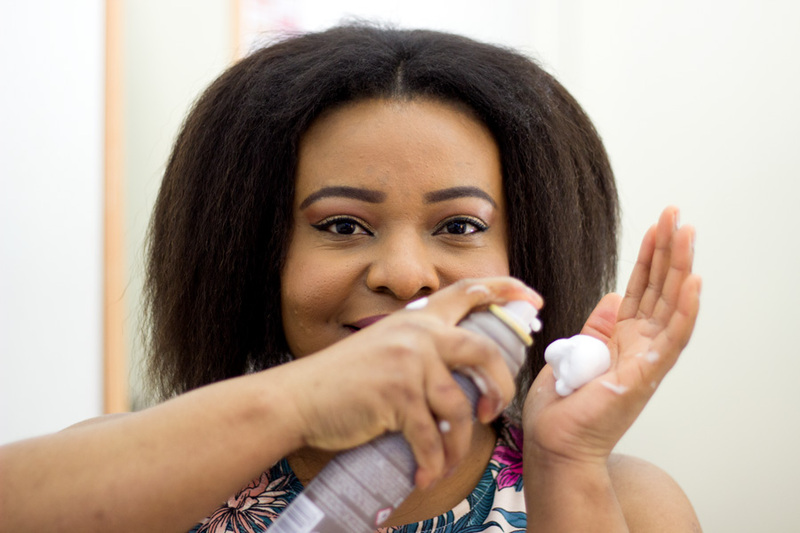 The Oil Reflections Reveal Shampoo* keeps my hair clean ad grease-free while the Oil Reflections Reveal Conditioner* adds the glow without the grease or excess shine. I usually keep on conditioners for a few minutes before rinsing off. I did not dry my hair with a blow dryer instead I used a microfiber towel (an old T-shirt also works). Step 2- Apply the EIMI Root Shoot to Damp Hair: I was never a fan of mousses because they made my hair dry and too crisp however newer mousses are so much better. The EIMI Root Shoot* is one of the few mousses I own that adds some texture to my hair without being excessively crisp/dry. It really does help my hair stay in my desired style for a much longer time which I love. 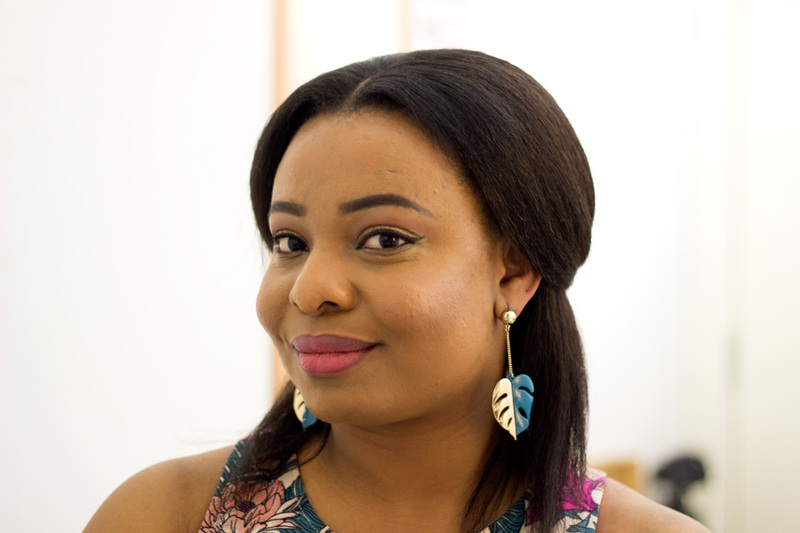 After applying the EIMI Root Shoot, I sectioned my hair into small sections and blow dried it using low heat. I love this mousse because you need a little (as it expands) and it gets absorbed quickly. It does not make my hair feel too dry but there is a slight dryness which I notice after a while. I don't mind at all as the results I get far outweigh this slight dryness. Step 3- Apply 1-2 Pumps of the Oil Reflections Smoothening Hair Oil from root to tip: This is my favourite part because my hair seems to come alive whenever I use this hair oil. The texture is so lightweight that there is no chance of it weighing my hair down. It gives the most beautiful natural glow to my hair without looking greasy. I love both versions of this Hair Oil- the Smoothening Hair Oil* and the Luminous Reflective Hair Oil Light*. They just work so well on my Afro and they don't attract dirt to my hair so my hair still looks great. 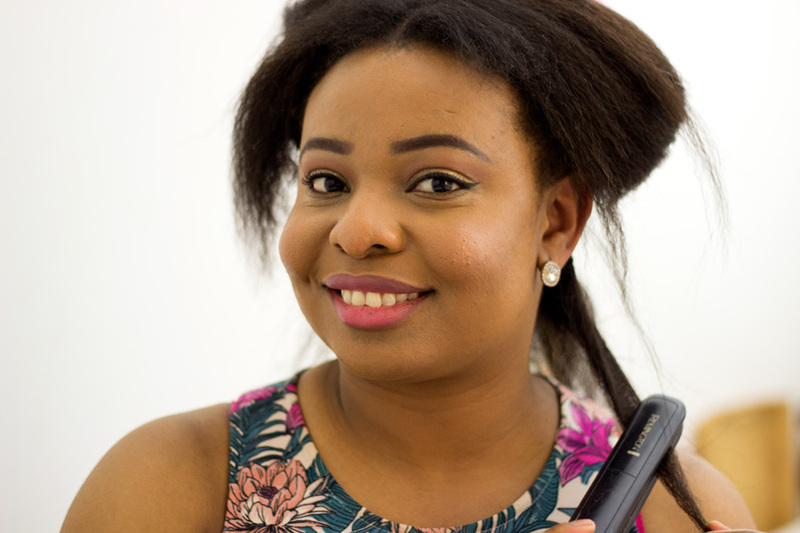 Step 4- Straighten each section and apply the EIMI Sugar Lift at the roots for a textured hold: I love to straighten my hair in small sections because it looks better although it is time consuming. 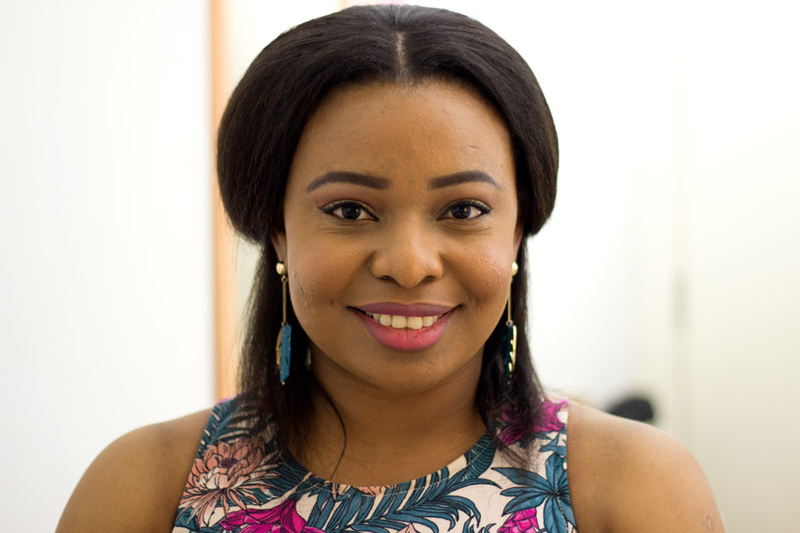 I always go for medium heat because I don't want bone straight hair; I prefer to have some texture to my hair. The Smoothening Hair Oil* makes straightening both my Afro and extensions such a dream and there's no dryness to be seen. I don't use a lot of the EIMI Sugar Lift* as it has a slight tacky feel which I am not a fan of. However, it does give my roots a nice lift so I just use a little and give it a quick dry with my blow drier on low heat. Step 5- Tuck both sides of the hair behind ear and finish off with the EIMI Stay Styled Hair Spray: My hair is not long enough to completely stay tucked behind my ears so bobby pins came to my rescue. 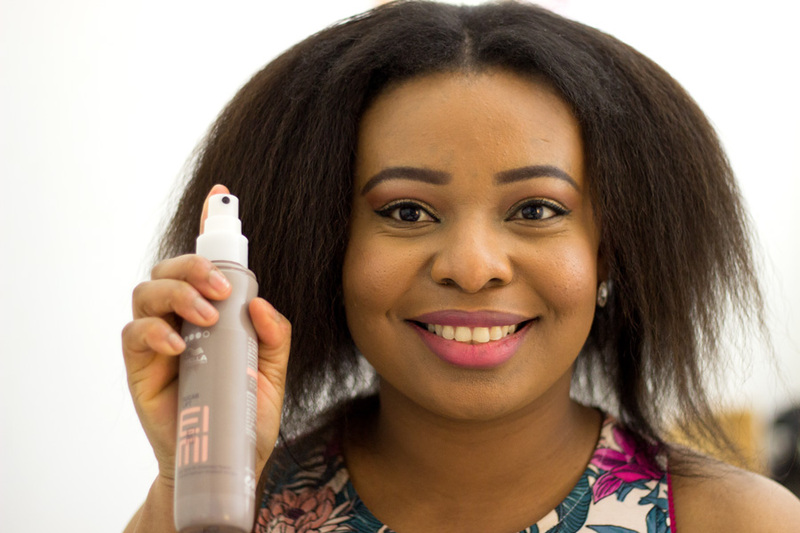 The final step (and a crucial one if you have fly away hair) is applying the EIMI Stay Styled Hair Spray*. I never knew I would love this hair spray as much as I do. 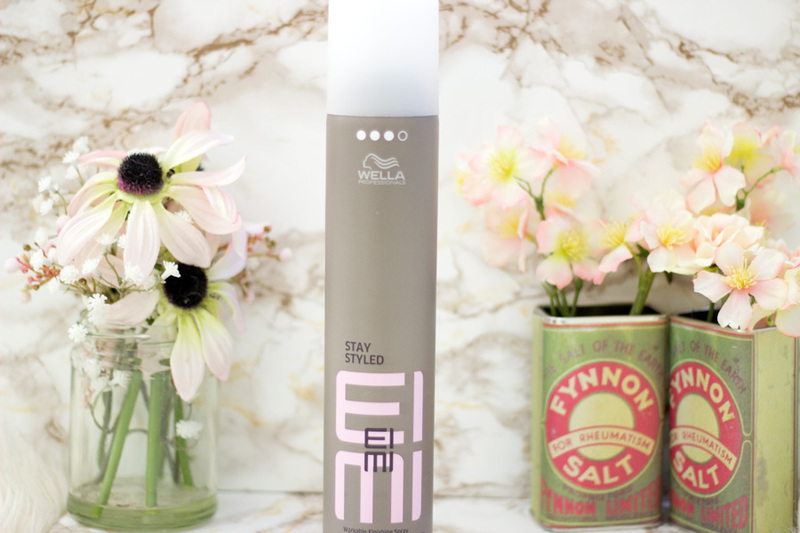 Whenever I style my hair, I always have fly away hairs no matter what but this EIMI Stay Styled Hair Spray is one of the few hair sprays that keeps these stray hairs at bay. There is a slight crisp feel I get after the EIMI Stay Styled Hair Spray is dry but I guess it needs to be that way to keep my flyaway hairs in place. The hold strength is 4 so I knew the crisp feel will be inevitable. Despite this slight crisp feel, I used it everyday I had my extensions on and no wind could interfere with my hair style. For that alone, I think it is pretty amazing. Vioila!!! 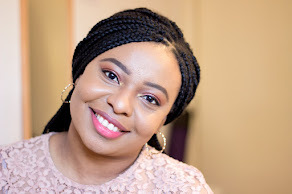 I told you it is such an easy look to recreate and I had this style on for a couple of weekends. It is straightforward and I think it will look flattering on many people. The EIMI Root Shoot, Sugar Lift and Stay Styled Hair Spray really did a good job at keeping this style in place all day. Will you be trying out this hair style? Do let me know if you do. Wella products can be purchased from a variety of retailers including Look Fantastic, Feel Unique, etc. You can also check out the Wella website for other retailers which may be closer to your area. I think they are such an affordable brand with great quality products which I will be repurchasing when I run out. I hope you enjoyed this somewhat different post as I rarely do hair styling posts. I have to admit I am quite lazy when it comes to styling my hair although I am quite good in taking care of my hair in general. 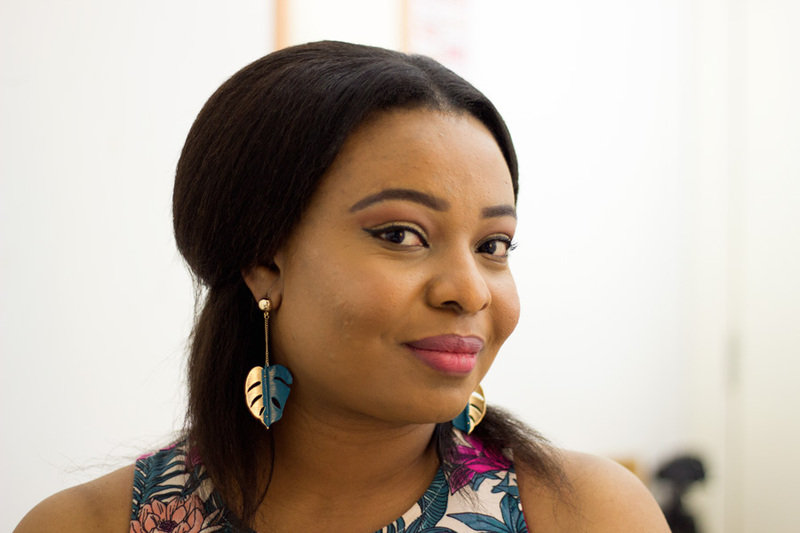 I still enjoy using the Wella Professionals range regularly and the Oil Reflections Smoothening Hair Oil is definitely one of my top 5 Hair Oils for all hair types including Afro hair textures. Hope you enjoyed this post and see you in my next one. 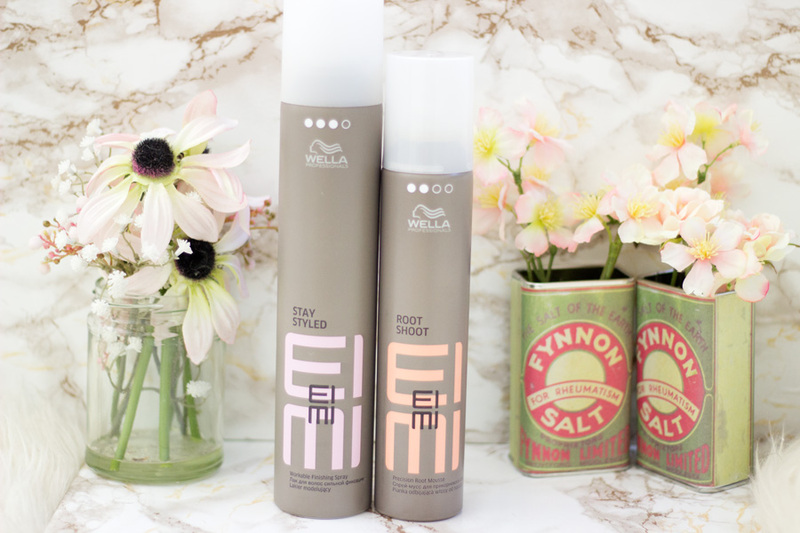 Have you tried the Wella Professionals Oil Reflections and EIMI range?